This Kubota Felt Pad and Vinyl Bumper Set is essential to protect flooring, table tops and furniture from scratches. Just pick from the variety of shapes and sizes then peel and stick. Included: 200 pieces. The 1/2 inch Surface Gard Self-Adhesive Vinyl Round Bumpers (16-Pack) work well under home and office accessories, such as lamps, computer equipment and small appliances. Their self-adhesive bodies stick to hard surfaces to help prevent scratching and sliding. They can also be used as bumpers to cushion closures. 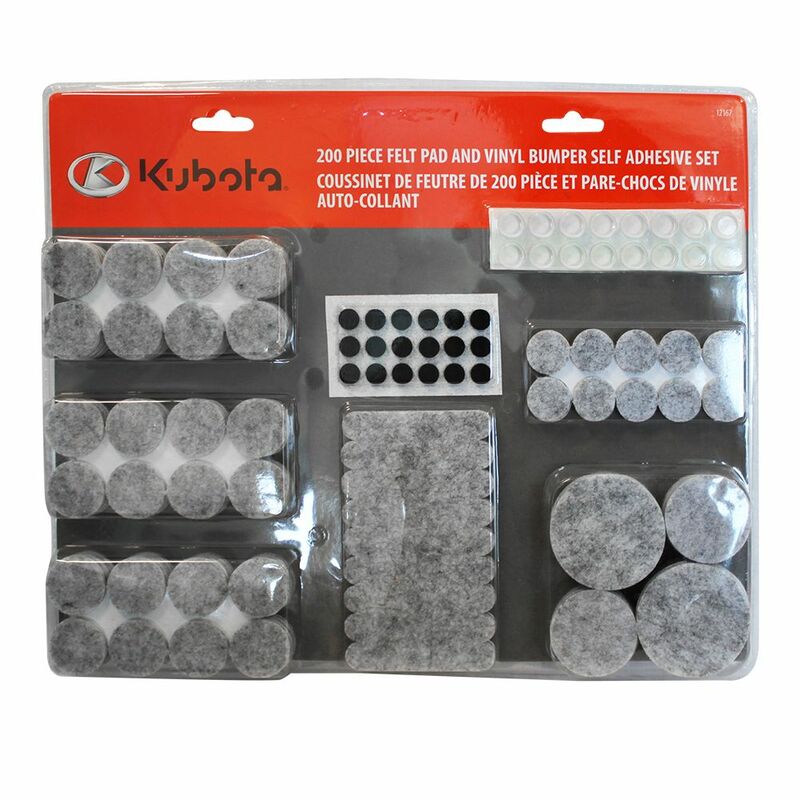 200 pc Felt Pad and Vinyl Bumper Value Pack This Kubota Felt Pad and Vinyl Bumper Set is essential to protect flooring, table tops and furniture from scratches. Just pick from the variety of shapes and sizes then peel and stick. Included: 200 pieces.